This weekend the Kingman Historic Theatre will be showing "Hotel Transylvania" at 7:30 P.M. on Friday, December 14th and Saturday, December 15th, and at 3:00 P.M. on Sunday, December 16th. This movie is rated PG and stars Adam Sandler, Kevin James, and Andy Samberg. Dracula, who operates a high-end resort away from the human world, goes into over-protective mode when a boy discovers the resort and falls for the count's teenaged daughter. 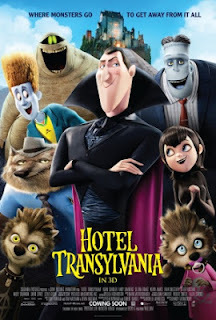 Check out the official trailer for "Hotel Transylvania".